As much as I do not want to admit this, the fall season is just around the corner. In fact, there&apos;s been a chilly breeze in the air these past couple of days that only suggests summertime will be over soon. For me, summertime is my favorite season when it comes to clothing. Its so easy to throw on a maxi dress and a cute pair of sandals but when the colder air comes into play, its all about layering. Since I want to hold onto my summer clothes forever, I have some tips on must have key essentials for transitioning your summer clothing into fall. Pair a long maxi skirt with an ankle boot instead of your usual sandal. You can also wear a long sleeve top with your maxi, and your outfit will transform. Leather jackets, throw a cropped coat over any maxi dress, shorts, or skirt. Denim jackets are key items as well. Chunky knits, these are perfect and super trendy. Big sweaters not only will keep you warm, but can be worn with shorts or skirts and paired with ankle boots. 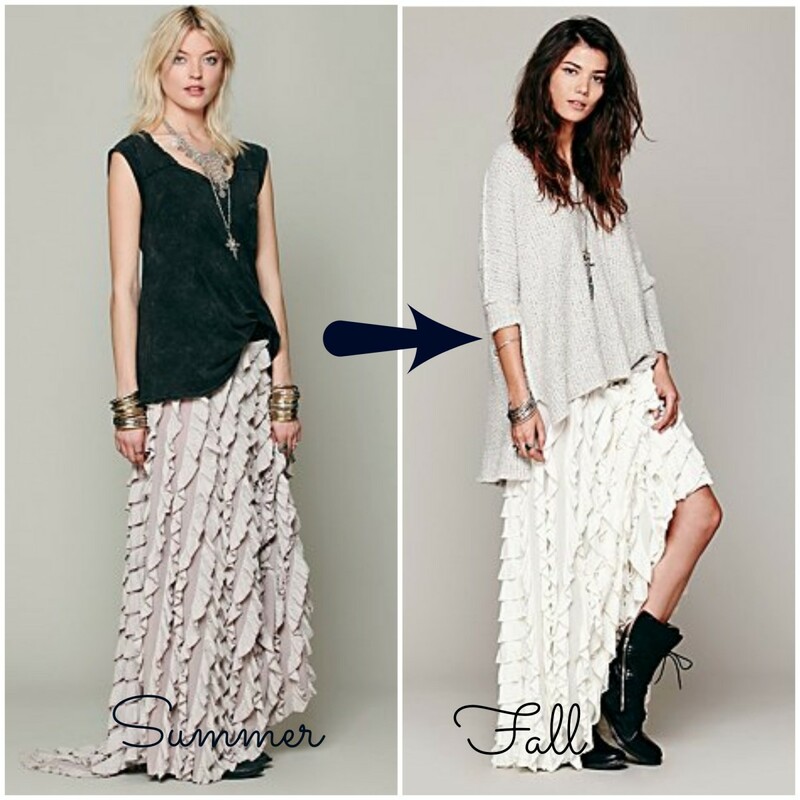 While maxi&apos;s are great for summertime, you can easily make them part of your fall wardrobe. Pair a maxi with boots, a chunky sweater, or jacket. Scarves can also be used to wrap around during the chillier months ahead. Before putting away your summertime wardrobe, remember most key pieces can be transformed into fall. Since you are saving money in your closet, why not go and splurge on a new purse!